While waiting on the right weather window in Ft Pierce Florida – we took the opportunity get caught up on Cycon work, monitor every detail of the weather, and tour the local landmarks. Which one of these sounds the most exciting? No, not the marina laundromat. 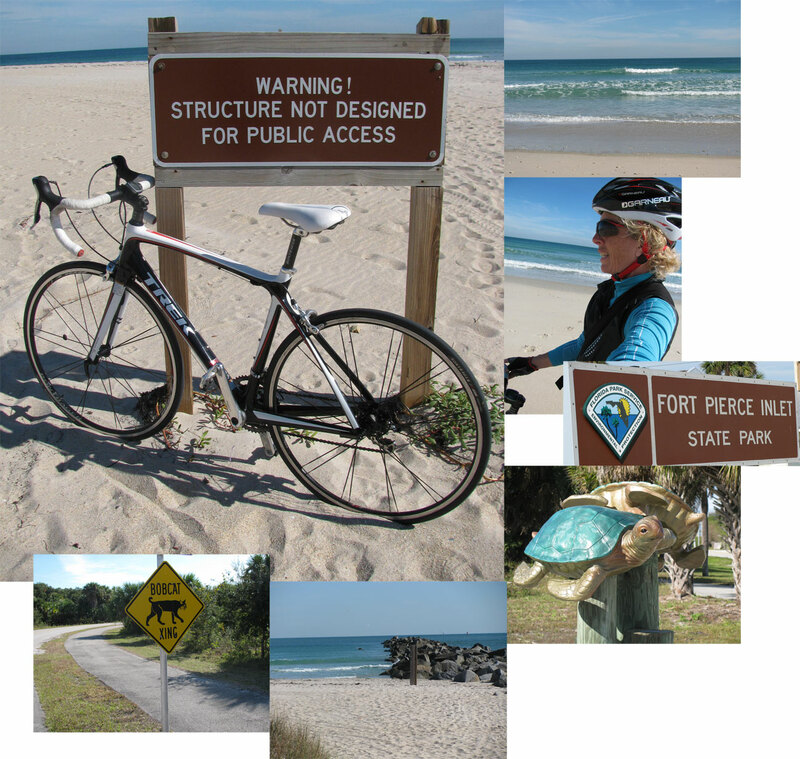 Try the Fort Pierce Inlet State Park. They charge $2.00 for bicyclists to enter the park…which is a small price to pay considering my need for endorphins. Once inside the park, I revved up my bike cadence, got locked into a delightful spin….and noticed a cop tailing me through the park. Was I doing something wrong? I paid the $2 entry fee. Curiosity got the best of me. I had to stop and ask “why are you tailing me?”. If you guessed “D”….you would be correct! Glad I could provide entertainment to Ft. Pierce park police. Across Florida, the weather was freakishly cold for a state that’s a winter respite for so many. There were snow flurries spotted in several parts of the state, as far south as Naples on the gulf coast. 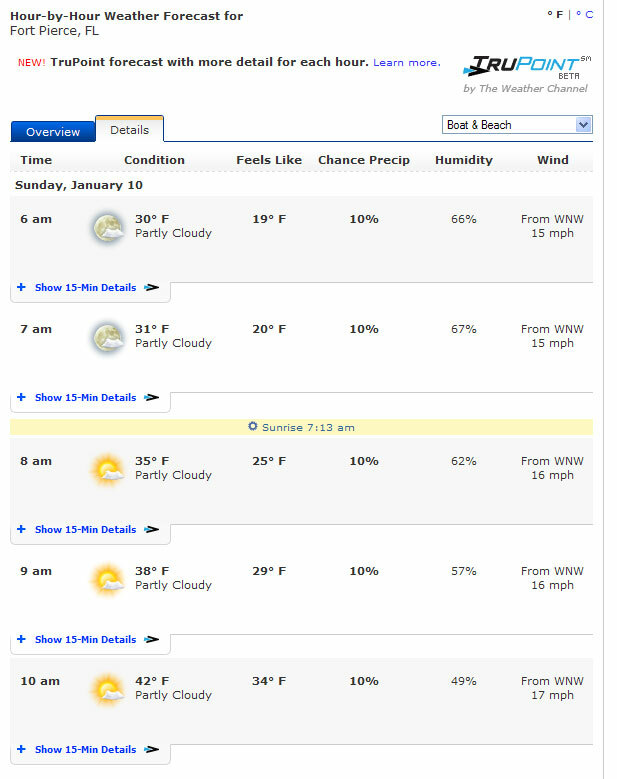 In Miami, the temperature was forecast to drop just below freezing overnight and threatened to break the record for low temperatures in the city.